Dwindling demand, rise in yarn prices add to woes of textile sector in Surat.Weak domestic demand for man-made fabric (MMF) and inroads of Chinese polyester clothing into India via Bangladesh and Sri Lanka have taken a heavy toll on the country’s largest MMF industry in the city. The anti-dumping duty on majority of fibres ,cheap import of fabrics and clothing from China, MGNREGA scheme and yarn prices have added to the woes of the textile sector. The return of Nitish Kumar government in Bihar has triggered an exodus of migrant textile workers to their hometowns. Industry estimates suggest that over 35,000 textile workers from Bihar are yet to return from their hometowns though assembly elections for which they had gone are long over. Recently, the weaving sector remained closed for 25 days as the textile workers struck work demanding wage hike. These all factors have led to closure of at least 10,000 powerloom weaving units with an installed capacity of less than 48 powerloom machines in Surat in the last eight months, rendering over 50,000 weavers jobless. Surat’s textile sector accounts for 40% of the MMF fabric demand in the country and the city’s over 6.5 lakh powerloom machines manufacture around 3 crore metre of fabrics worth Rs 45 crore per day. The 450 textile processing units in the city manufacture finished fabrics, including saris and dress materials. 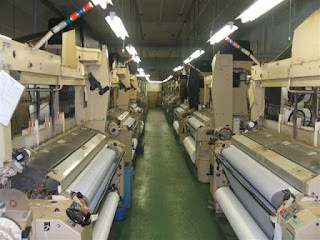 “The powerloom weaving sector in the city is passing through a tough phase due to dwindling demand and rising prices of yarn. The big yarn spinners are yet to reduce yarn prices even when the crude oil prices are below $55 a barrel. Many workers have left for Bihar because they see hope in the MGNREGA scheme and Nitish government there,” Federation of Gujarat Weavers Association (FOGWA) president Ashok Jirawala said. The state government is going to announce a special textile package for Vidarbha next week to promote cotton based industries in the region.A 100 hectares land in the outskirts of Amravati district have been identified which would be developed as the textile hub of the region.Another two textile centres in the region are also being worked out. On the lines of MIDC, a separate Vidarbha Cotton Industrial Corporation (VIDC) is on the agenda. The chief minister Devendra Fadnavis plans to develop Vidarbha as the biggest textile hub.The purpose is to fold to facilitate cotton cultivators a channelize their products which would be in demand if there are spinning mills and other related small scale industries operating. Secondly, if both cotton cash crop and related industries are functioning it can become a new textile centre.